The top White House lawyer, Donald F. McGahn II, said he would resign rather than carry out the directive, The New York Times reports. “Fake news, folks,” President Donald Trump said today in Switzerland. 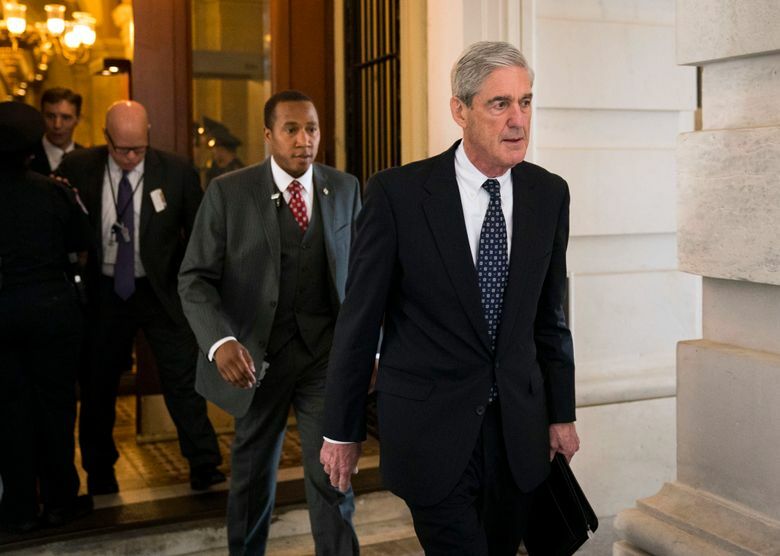 WASHINGTON — President Donald Trump ordered the firing last June of Robert Mueller, the special counsel overseeing the Russia investigation, according to four people told of the matter, but ultimately backed down after the White House counsel threatened to resign rather than carry out the directive. The West Wing confrontation marks the first time Trump is known to have tried to fire the special counsel. Mueller learned about the episode in recent months as his investigators interviewed current and former senior White House officials in his inquiry into whether the president obstructed justice. Amid the first wave of news media reports that Mueller was examining a possible obstruction case, the president began to argue that Mueller had three conflicts of interest that disqualified him from overseeing the investigation, two of the people said. First, he claimed that a dispute years ago over fees at Trump National Golf Club in Sterling, Virginia, had prompted Mueller, the FBI director at the time, to resign his membership. The president also said Mueller could not be impartial because he had most recently worked for the law firm that previously represented the president’s son-in-law, Jared Kushner. Finally, the president said, Mueller had been interviewed to return as the FBI director the day before he was appointed special counsel in May. After receiving the president’s order to fire Mueller, the White House counsel, Donald F. McGahn II, refused to ask the Justice Department to dismiss the special counsel, saying he would quit instead, the people said. They spoke on the condition of anonymity because they did not want to be identified discussing a continuing investigation. McGahn disagreed with the president’s case and told senior White House officials that firing Mueller would have a catastrophic effect on Trump’s presidency. McGahn also told White House officials that Trump would not follow through on the dismissal on his own. The president then backed off. The president dismissed the revelations Friday, when asked about them by reporters as he arrived at the Congress Center in Davos, Switzerland, for meetings with world political and business leaders. 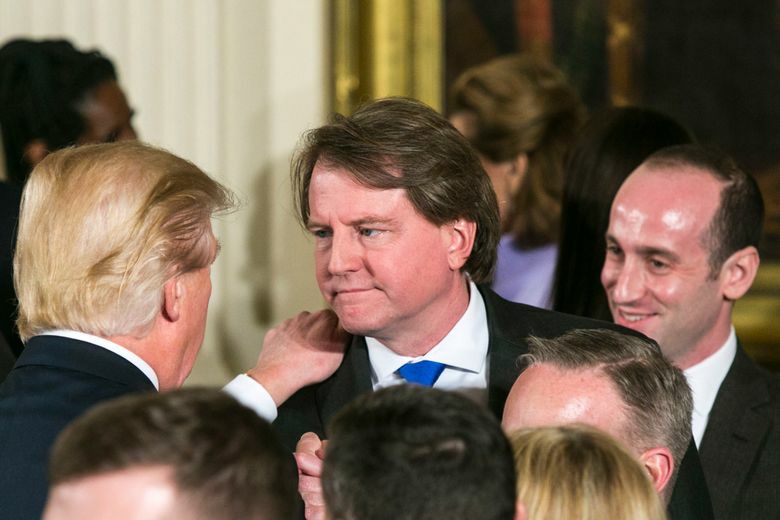 McGahn, a longtime Republican campaign finance lawyer in Washington who served on the Federal Election Commission, was the top lawyer on Trump’s campaign. He has been involved in nearly every key decision Trump has made — like the firing of the former FBI director — that is being scrutinized by Mueller. McGahn was also concerned that firing the special counsel would incite more questions about whether the White House was trying to obstruct the Russia investigation. Around the time Trump wanted to fire Mueller, the president’s legal team, led then by his longtime personal lawyer in New York, Marc E. Kasowitz, was taking an adversarial approach to the Russia investigation. The president’s lawyers were digging into potential conflict-of-interest issues for Mueller and his team, according to current and former White House officials, and news media reports revealed that several of Mueller’s prosecutors had donated to Democrats. Mueller could not legally have considered political affiliations when making hiring decisions. But for Trump’s supporters, it reinforced the idea that, although Mueller is a Republican, he had assembled a team of Democrats to take down the president. Another option that Trump considered in discussions with his advisers was dismissing the deputy attorney general, Rod J. Rosenstein, and elevating the department’s No. 3 official, Rachel Brand, to oversee Mueller. Rosenstein has overseen the investigation since March, when Attorney General Jeff Sessions recused himself. Trump has significantly ratcheted back his criticisms of Mueller since he hired Cobb for his legal team in July. A veteran of several high-profile Washington controversies, Cobb has known Mueller for decades, dating to their early careers in the Justice Department. He advised Trump that he had nothing to gain from combat with Mueller, a highly respected former prosecutor and FBI director who has subpoena power as special counsel. Since Cobb’s arrival, the White House has operated on the premise that the quickest way to clear the cloud of suspicion was to cooperate with Mueller, not to fight him. Nonetheless, Trump has wavered for months about whether he wants to fire Mueller, which is an omnipresent concern among the president’s legal team and close aides. The White House has denied nearly a dozen times since June that Trump was considering firing Mueller. The president’s lawyers, including Cobb, have tried to keep Trump calm by assuring him for months, amid new revelations about the inquiry, that it is close to ending. Trump has long demonstrated a preoccupation with those who have overseen the Russia investigation. In March, after McGahn failed to persuade Sessions not to recuse himself from the inquiry, Trump complained that he needed someone loyal to oversee the Justice Department. Former FBI Director James Comey said Trump asked him for loyalty and encouraged him to drop an investigation into his former national security adviser, Michael Flynn. Comey said he sidestepped those requests. He was soon fired. In an interview with The New York Times in the Oval Office in July, the president pointedly kept open the option of firing Mueller, saying that the special counsel would be passing a red line if his investigation expanded to look at Trump’s finances. Trump said he never would have made Sessions the attorney general if he had known he would recuse himself from the investigation. Last month, as Republicans were increasing their attacks on the special counsel, Trump said in an interview with The Times that he believed Mueller was going to treat him fairly.